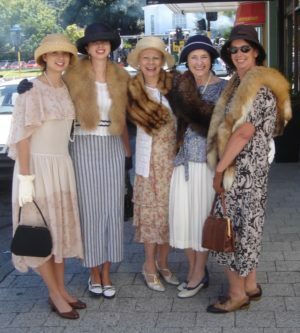 Next week our Napier Family Centre Charity Shop will hold a fundraising event exactly one month before our famous Art Deco Festival hits Hawke’s Bay and we’re all transported back in time. The event showcases some of our Hawke’s Bay experts in all things art deco with presentations and styling tips before our fabulous Art deco stock goes on sale. 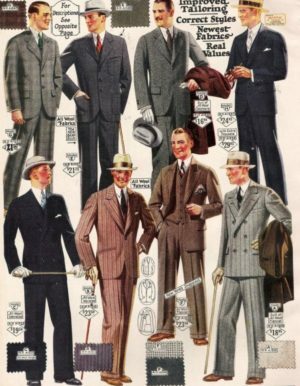 Come along and grab yourself a bargain and even get some one on one styling tips from our expert team. 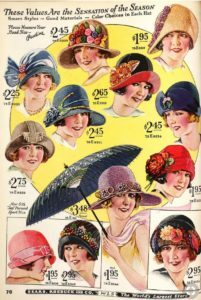 Thursday, January 17, 2019 at 5:30 PM – 8:30 PM at our charity shop (301 Gloucester Street, Taradale). 2: HEADWEAR… A snappy cloche hat or fascinator, feathers, sparkle sequin headbands will jazz up any plain outfit..
3:THE OUTFIT…A plain dress with accessories, drop wasted, pleated or pencil skirts with a plain blouse, spots, and stripes, flowers, and pretty patterns… Lace Kimonos over a plain dress look stunning .. 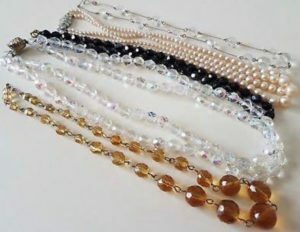 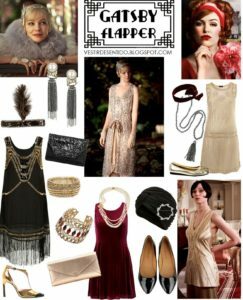 The flapper beaded dress for evening with a fur or lace stole..
4:CLOTHING ACCESSORIES .. Furs and feathers boas, bead and lace capes, fur stoles, to cover up and add some style and warmth on a cooler evening.. 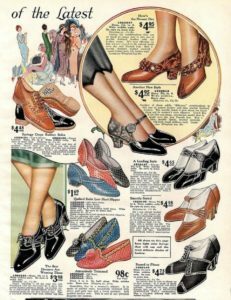 Shoes patient leather, suede, T-bar, lace up , flats or heals depending on time of day and how much comfort you need. 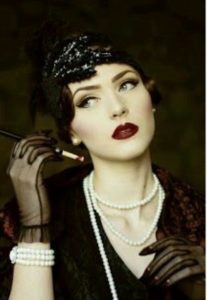 6.MAKE UP… Bright red lippy, pale skin tone, highlight the cheek bones, smokey highlighted eyes.. To get the deco look don’t scrimp on the bright red pout..
https://www.decolish.com/ is a very informative and helpful website going into huge detail on everything you need to know about deco, and achieving a great deco look!